By law, pedestrians in Japan have the right of way. Nevertheless, one should be careful and not automatically trust cars to stop. Walk lights should always be obeyed unless the area is relatively free of traffic. 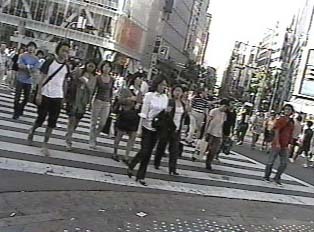 In many areas of Japan, there are more pedestrians than cars, thus pedestrians have a higher impact on traffic situations.